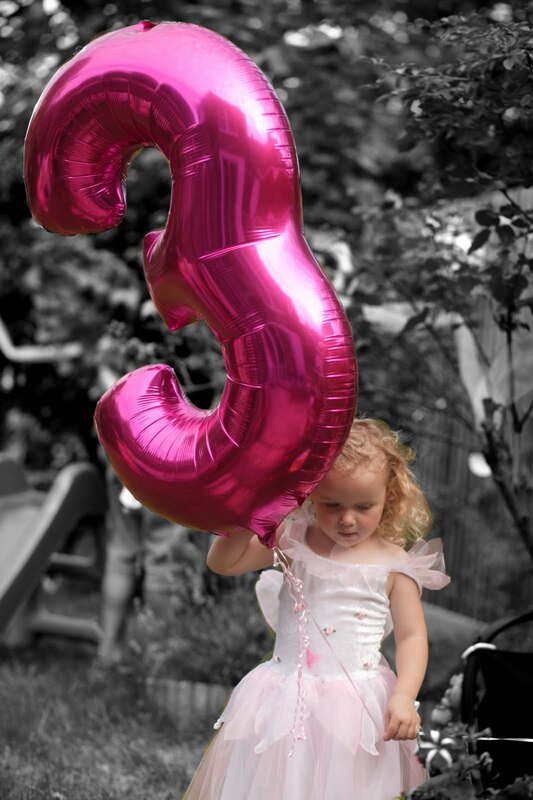 Our little 3 year old had a magical day celebrating with friends at the weekend! 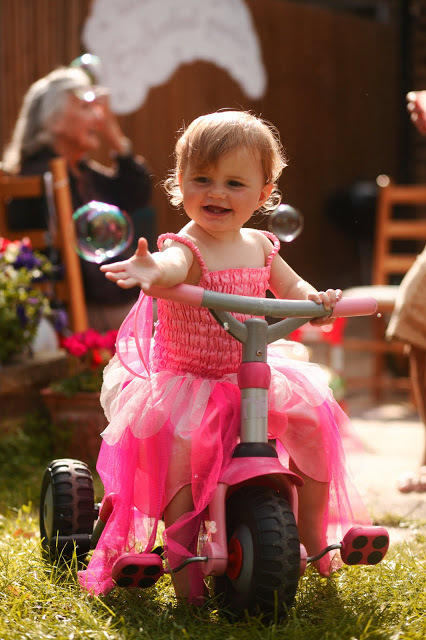 For months she had been talking of nothing else but fairies and PINK, so a pink fairy extravaganza it was. 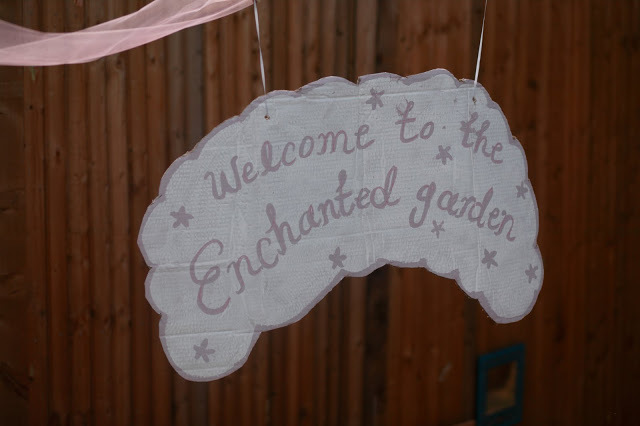 “Welcome to the enchanted garden!” There was pink tulle hanging between all the trees and bushes. 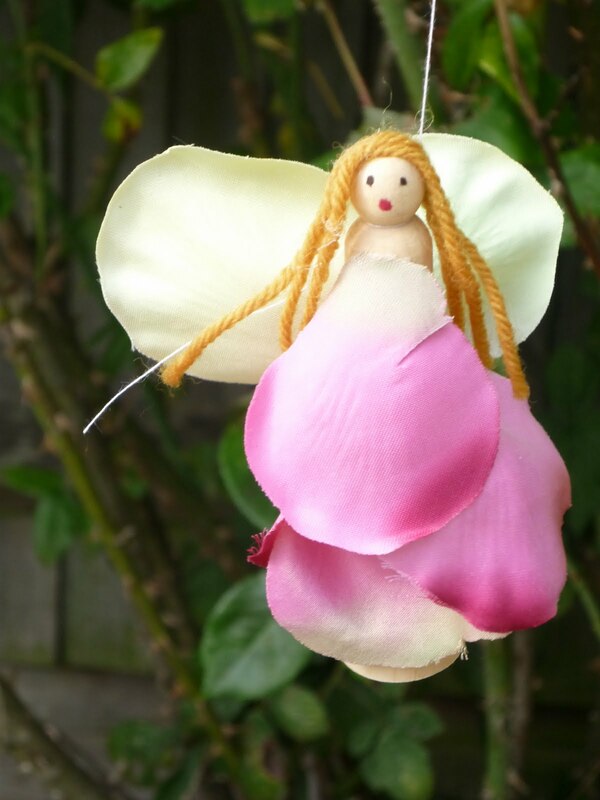 Little clothes peg fairies hanging from all the branches. 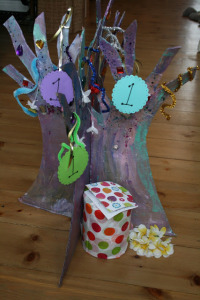 The first activity was to make a fairy wand and decorate it with sequins and glitter. There were bubbles galore for dancing and flying in! 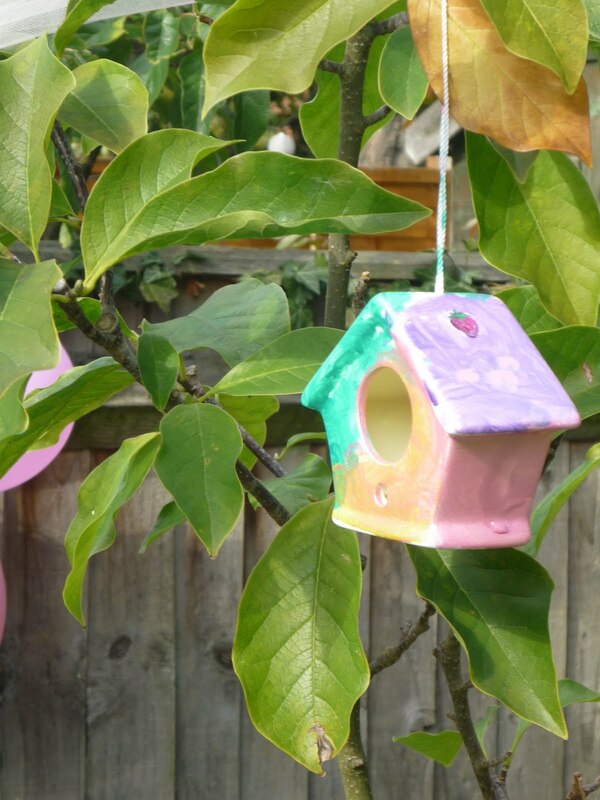 Then there were little ceramic bird’s fairy houses to paint and decorate! 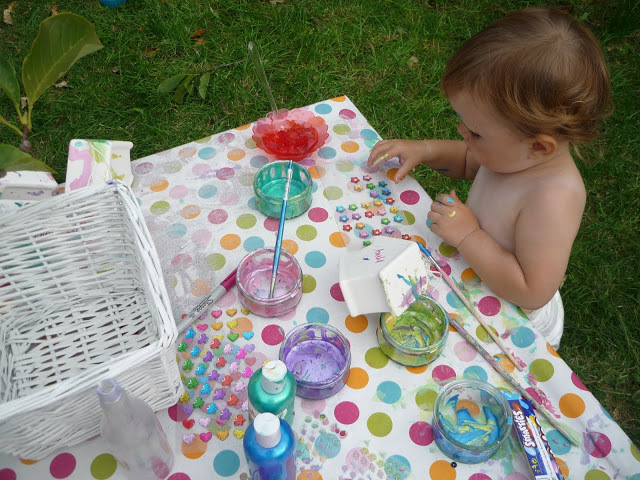 This was the most fun activity of the day, requiring plenty of concentration! 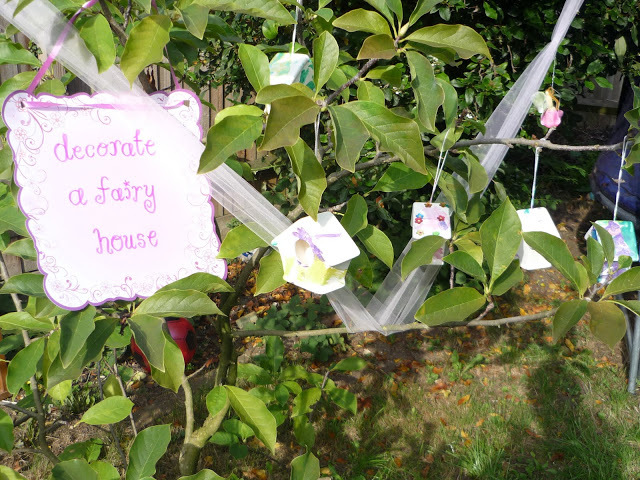 Finished fairy houses hanging in the trees to dry. 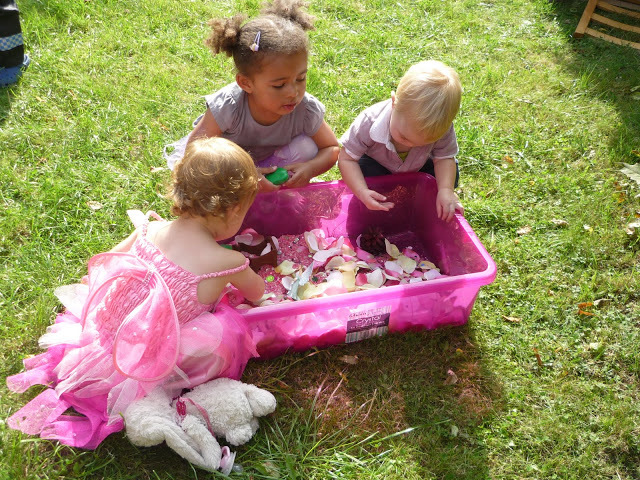 The flowers and fairies sensory tub for the little ones to explore. They loved this! Little Sis enjoyed herself almost as much as her big sister! 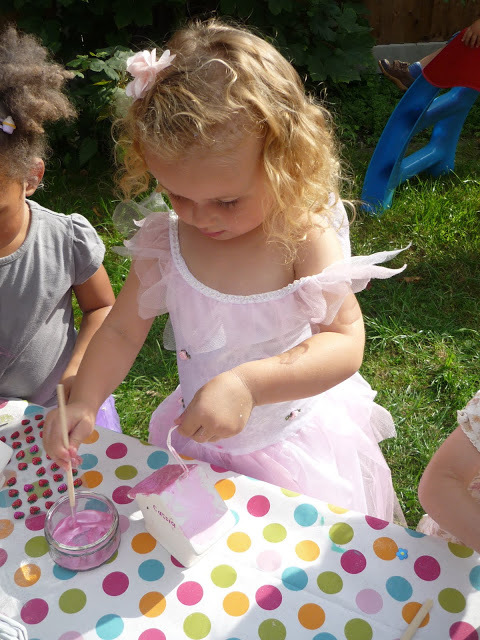 They made fairy dust and put it into bottles to sprinkle on their friends! 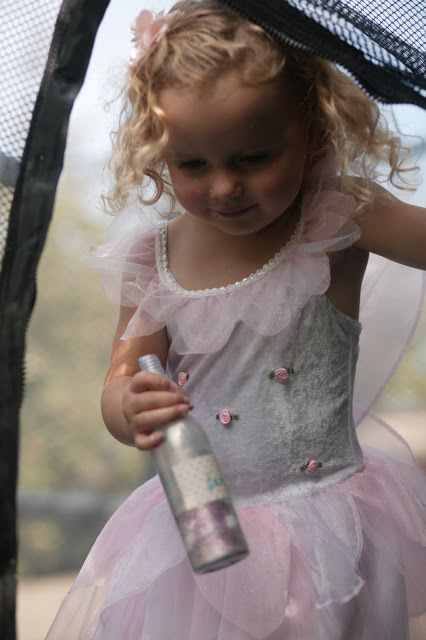 Here is Cakie clutching her prized fairy dust bottle. 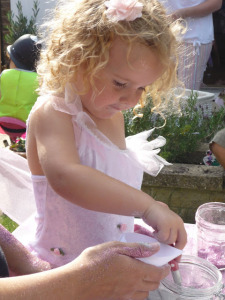 There was a pink themed fairy feast with as much food and drink as possible being PINK! 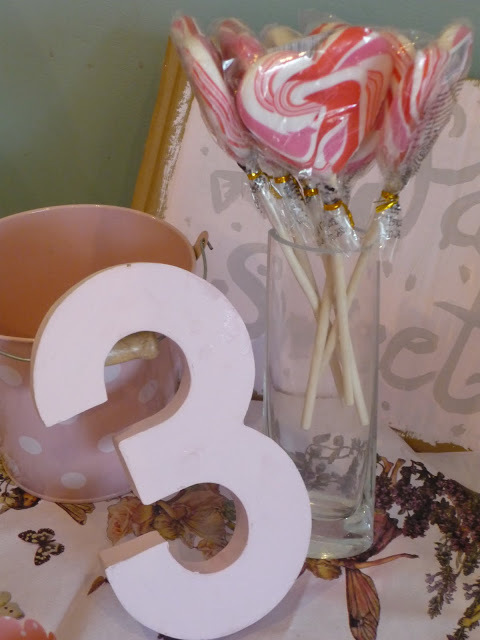 With a fairy pink sweet shop, with foam shrimps, pink mushrooms, strawberry laces, marshmallows and heart shaped lollipops all in glass jam jars. Yum! 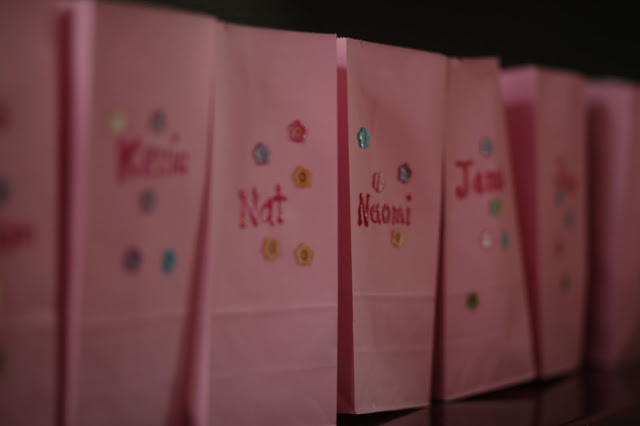 And to end the day there were little pink party bags that Cakie decorated with stickers for her guests. They were filled with wooden fairy plaques to be decorated (for the older ones) and pink sparkly playdough for the little ones, as well as some sweet treats and fairy wand bubbles! It was a wonderful day, made all the more special by the people who came. Cakie can’t stop talking about it and is apparently planning the next one already, this time a “hearts party”! I hope she has some real memories of this day in the future. More posts on some of the activities to follow! With huge thanks to our good friends Jon and Katy, again, for taking such wonderful photos and allowing me to use them here! 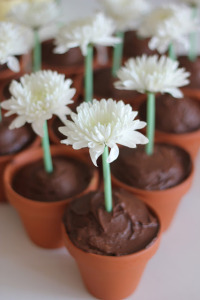 A garden flowers birthday party! What an amazing party! Love all the activities you set up. Lovely party! I bet they loved the sensory bin! Wow! 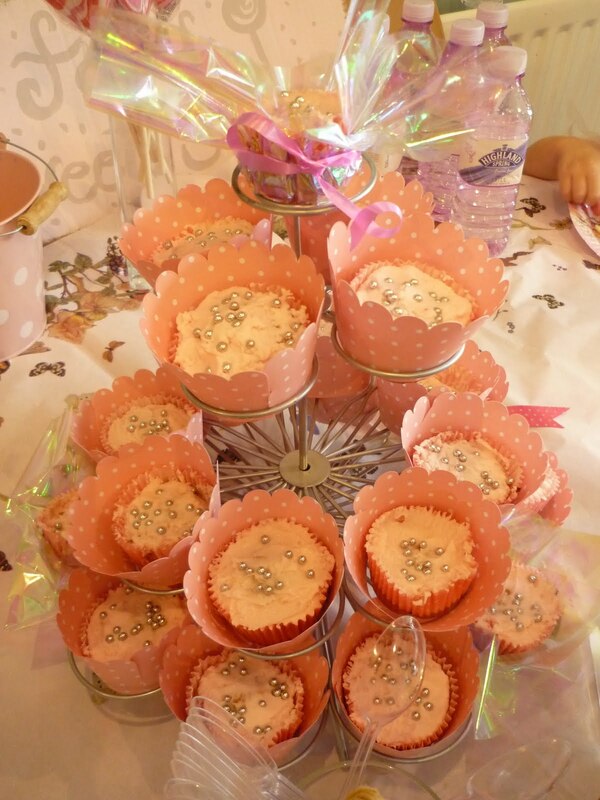 You should start a business creating parties for little ones! Well done! Wow! That looks like an amazing party! I love all the activities you set up. You thought of everything! Your daughters are very lucky. Oh wow! How beautiful! I know she really enjoyed her day, along with the other girls. Those are wonderful photos! 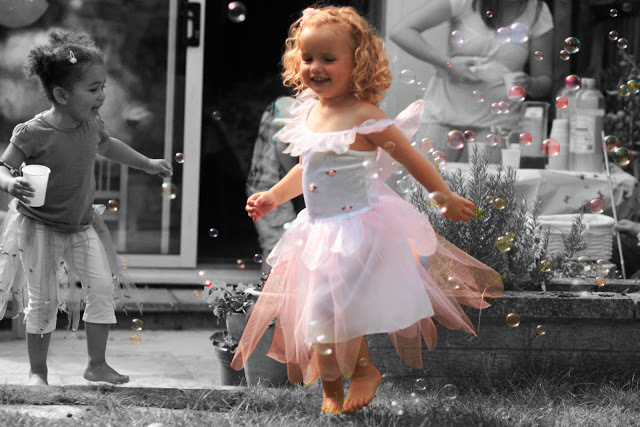 (I especially love the one in her fairy outfit dancing in the bubbles) — what a magical day you created for your special girl! I’m excited for the next one too! So adorable, and love the photos. 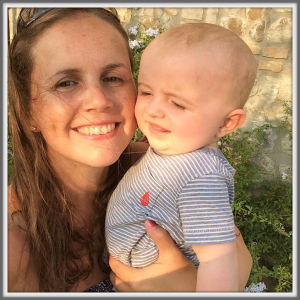 When you said it was going to be Cakie’s birthday soon I was really excited to see what you would be doing and you never fail to come up with some amazing ideas – what beautiful and magical ideas, thank you so much for sharing. (P.S found your blog through Twitter! That’s a fabulous cake, and it looks like you had a fabulous party. 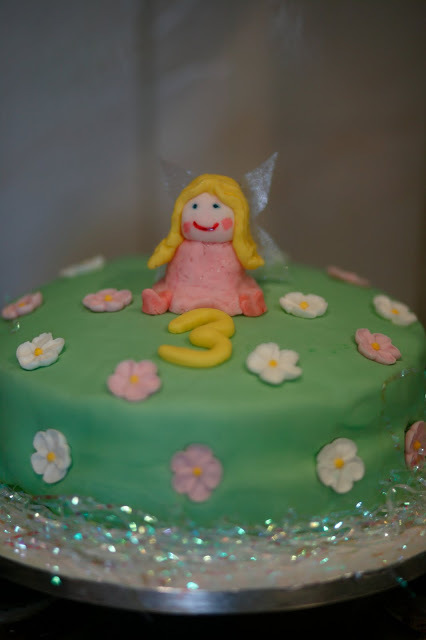 I’m quite envious: I wish I was still three! WOW! What a fabulous party. We also made a fairy house recently (my eldest similarly obsessed with pink) but ours was made from a shoebox, painted and confetti-glitter-glued, and sparkle-stickered. I am so going to make a pink sensory box. Amazing. Ps you are a much nicer Mummy than me. I rejected my daughter’s request for a Cinderella party, as I object politically to the ubiquity of pink and to Disney princesses specifically. So I threw her a Gruffalo party. She loved it in the end! PPS Can we just confirm that you did all this whilst pregnant? You are truly superwoman, and we mere readers are not worthy. Looks amazing! What a lucky little girl! Great inspiration ! 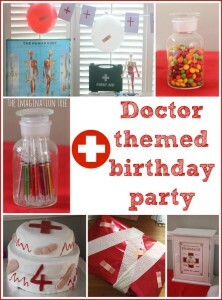 Lovely photos and what a fun looking party ! Love it!!! I have a little girl about to turn 3 who would love to have such a day!! 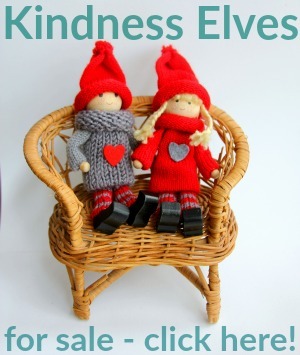 Fab ideas – thankyou! What an amazing party, can I come to the next one please? 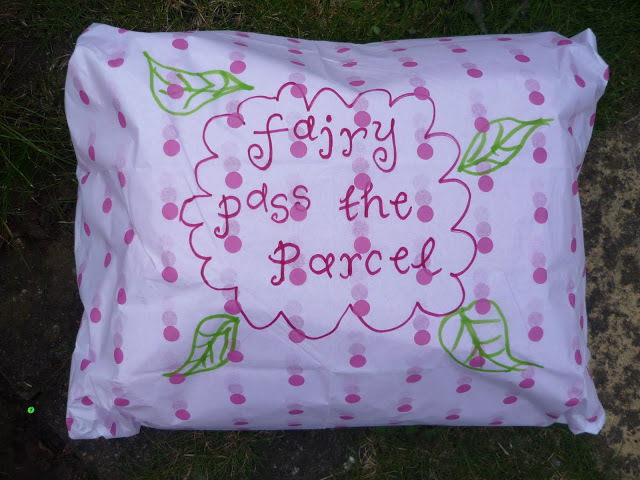 Do you think i could get away having a pink fairy party for myself! Im so glad I’ve got a girl that likes pink! enjoying your blog. I too am an aspiring blog blogger but I’m still new to everything. Do you have any points for inexperienced blog writers? I’d really appreciate it. Great items from you, man. I have consider your stuff prior to and you’re just extremely magnificent. I really like what you have received here, really like what you’re stating and the way in which by which you assert it. You’re making it entertaining and you still care for to stay it sensible. I can not wait to read far more from you. That is really a wonderful site. be grateful in the event you continue this in future. A lot of people will be benefited from your writing. Quality articles or reviews is the key to attract the viewers to pay a quick visit the website, that’s what this web site is providing. Yes! Finally someone writes about hippie accessories. I’m getting tired of WordPress because I’ve had issues with hackers and I’m looking at alternatives for another platform. I would be fantastic if you could point me in the direction of a good platform.